Dino garden 3 is similar to the original. Nothing really new in its construction. 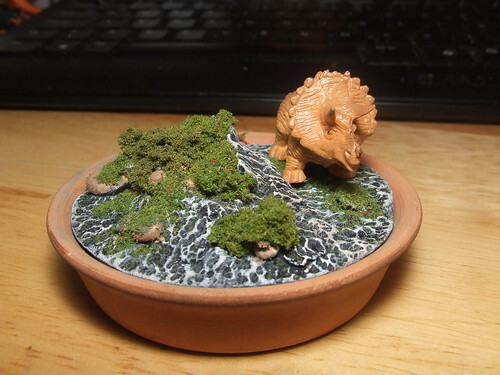 Dino Garden 4 was an attempt at a more barren landscape. This garden uses reindeer moss as bare bushes, a crack runs through the ground revealing lava underneath. 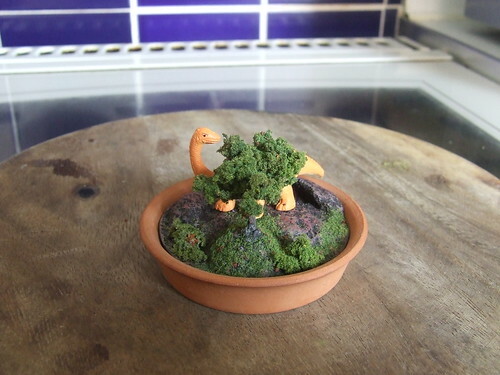 Dino Graden 5 is less bleak, and features my first ever tree! The tree is made from very thin wire, polymer clay and the same scatter material that features throughout this series. 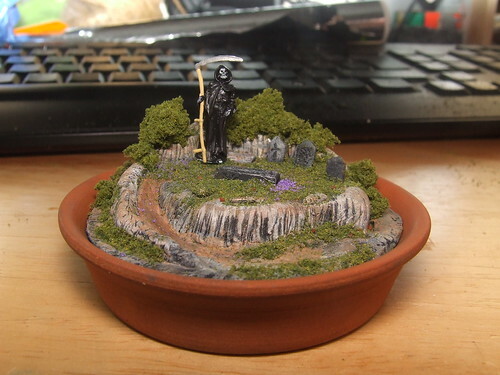 Making the tree was very fiddly, but I’m pleased with the outcome. 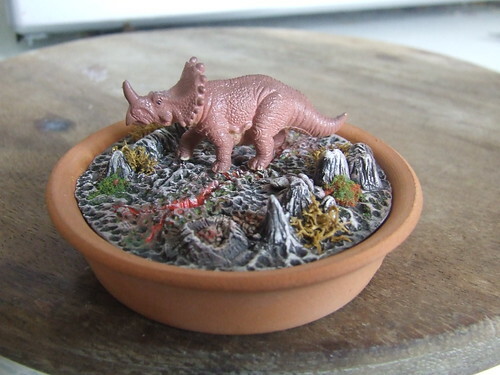 I’m working on Dino Gardens 6 and 7 as i write this. Normally, i’m a one off sort of person, very bad at repeatability. This series has been somewhat unusual for me, doing several similar things, it has however been very enjoyable and quite theraputic. This entry was posted on Sunday, August 1st, 2010 at 5:26 pmand is filed under . You can follow any responses to this entry through the RSS 2.0 feed. You can leave a response, or trackback from your own site.